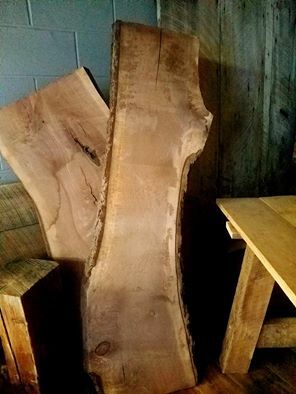 Contact Angie to get a custom quote for live edge lumber! Beautiful Live Edge bar area with steel based live edge stools- Custom orders always accepted. 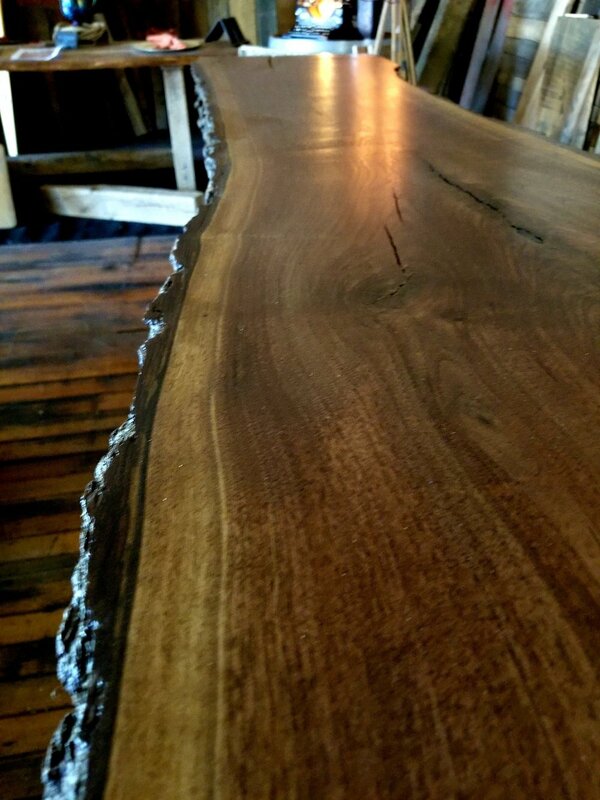 Live edge is one of the latest trends in the design world. It's is a style of furniture that incorporates a piece of wood's natural edge into the design. 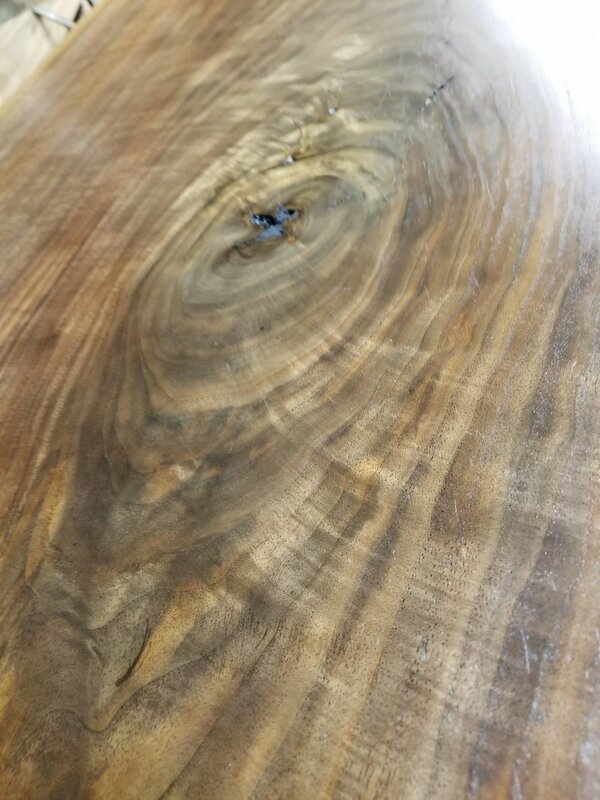 Live edge furniture is one-of-a-kind because each piece embraces the natural beauty and unique features of the specific wood used. 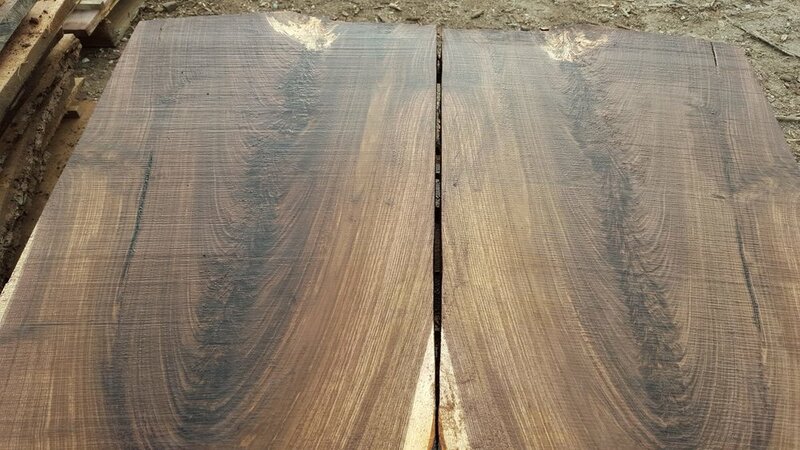 How is it used Walnut and oak make great wood choices for live edge tables, and there are many other wood material choices as well. 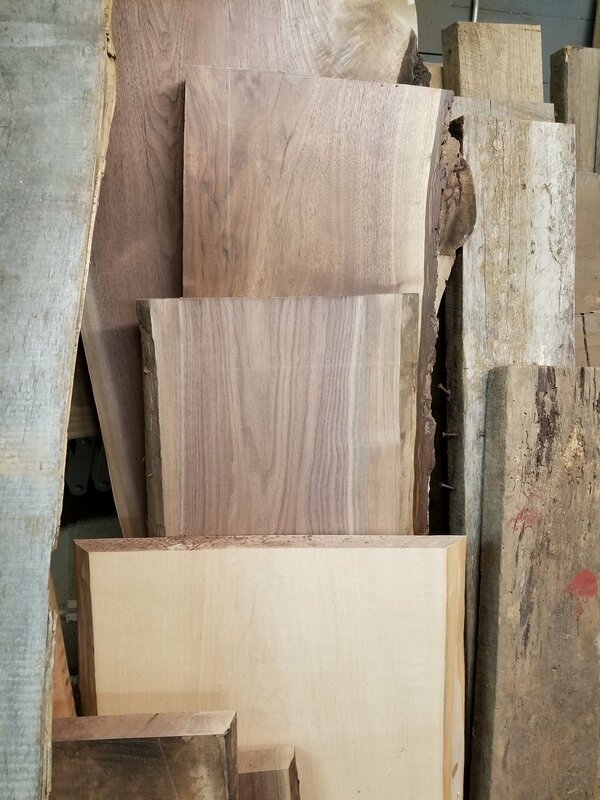 These types of tables will be made to go with the natural design of the wood you choose. Many woodworkers use gnarly wood to build these unique table tops. They are the perfect choice for someone who enjoy naturalistic decor. 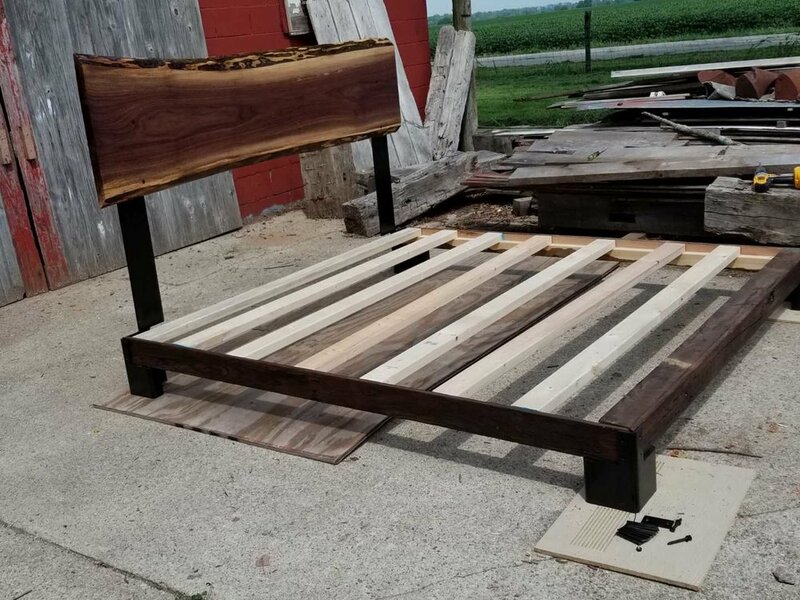 Why is Live Edge used?While incorporating reclaimed lumber is a great way to bring a slice of history into your home, live edge items are also a wonderful way to preserve the character of the original material. Although the possibilities are endless, popular natural edge furniture pieces include tables, mantels, counter tops and desks.